Our son, Adrian Sanchez, 22 was diagnosed with Alport Syndrome when he was nine years old. He has been on dialysis for over three years and is about to receive a life-saving kidney transplant. Adrian is very fortunate to have a living donor that is a perfect match for him. 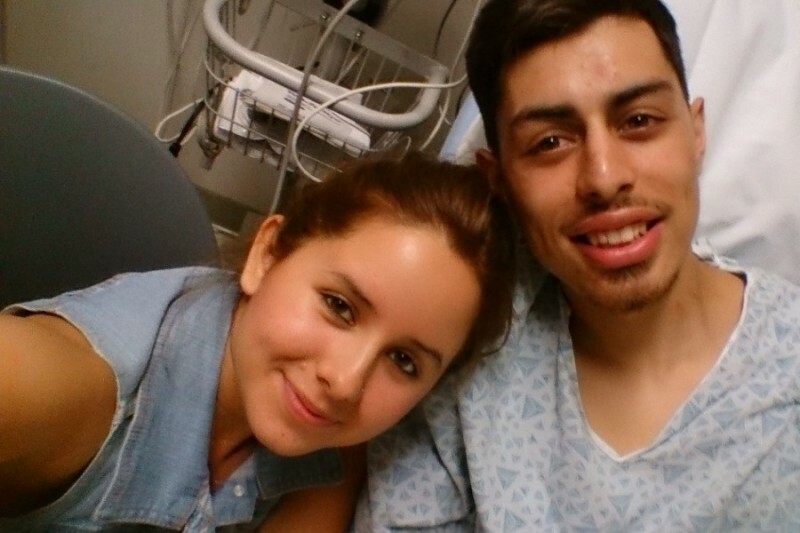 His girlfriend, Clara Rocha is going to be his living donor. Adrian started his college education, but due to his declining health, he has had to put that on hold. After his transplant, he looks forward to resuming his college education and resuming an active life and doing so many things he has been unable to do for so long. We are all so very grateful to Clara for offering Adrian the gift of life. Now we are asking for your support. Funding for this life saving procedure is a monumental task and a challenge our family cannot meet alone. Even with insurance there are many expenses that must be paid out of pocket. Some of these costs are co-pays, deductibles, lab fees and Adrian will be on a life-time of anti-rejection medications. This puts our family up against a challenge we cannot meet alone and desperately need your help. A fundraising campaign in Adrian’s honor has been established with HelpHOPELive, a trusted non-profit organization that has been providing community based fundraising guidance to patients and their families for more than 30 years. All donations are tax deductible, are held by HelpHOPELive in the Southwest Kidney Transplant Fund, and are administered by HelpHOPELive for transplant related expenses only. Please consider a contribution. Keep an eye on Adrian’s website for updates and future fundraisers. On behalf of Adrian, Clara and our families we thank you for your kindness, generosity, support and prayers. God Bless. Dear Adrian, We hope you can see your dreams coming true!!! Two strangers from Chicago are praying for you.